Torch Red - the 2nd most popular color of the retrobird. with 14349 built over the 4 year production run. 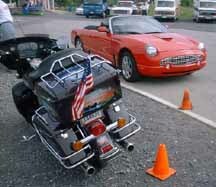 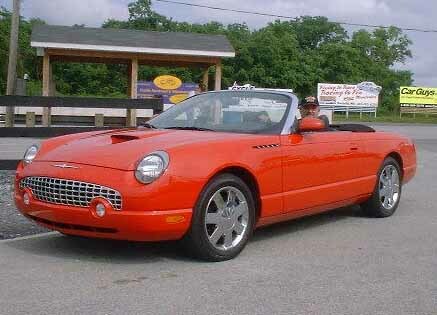 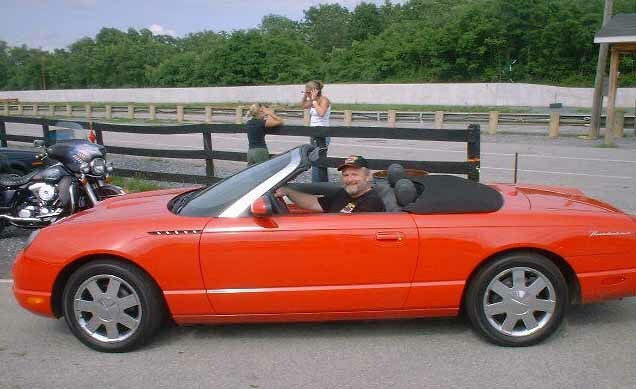 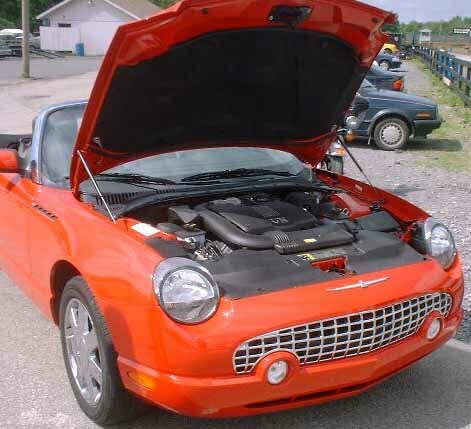 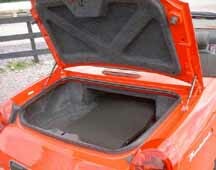 The following photos were taken at a press event in July 2001, showing off several Ford products including the soon to be released Ford Thunderbird. 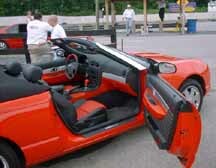 Those lucky few that found this event were treated to a chance to get in and touch.